A film festival dedicated to all things Horror is being put together in Boston MA. This festival is being put on by the same people who do the Sci-Fi Festival. The folks should be self-motivated and can-do folks. If you know anyone, I’ll let them have first crack. Based on the long-running DC Comics gunslinger, Jonah Hex is about a gunslinger in the old west who becomes a bounty hunter after his family is killed. His face is scared in such a way he is scary to look at too his enemies . Now that I have the basic plot out-of-the-way let’s get into why this movie is not what you were hoping for. They get about 60% of the character wrong. I am not quite sure where the production team got the idea Jonah Hex became a ghost whisper. They really try to drag in the audience of the supernatural with his ability to talk to the dead. 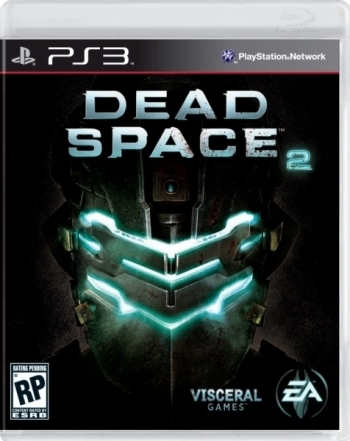 It makes for a nice cameo appearance by Jeffrey Dean Morgan. (Who has now appeared in three DC Vertigo comic book movies in 16 months). There are hints at what could have been a good film in their ideas that never quite get followed up on, scenes that could have been amazing – but mostly it’s an endless mess, squashed into the shortest running time possible. I have to commend DC Comics for trying to make something else besides Superman or Batman but this is not the way to do it. There’s the final battle, which takes place on an ironclad. That’s cut in with Megan Fox battling on the same ironclad. Then it’s cut with an imaginary fist fight between Hex and Turnbull, which in turn is cut with yet another series of flashbacks to Hex’s origin. The final fist fight between Hex and Turnbull is crosscut with an imaginary fist fight between Hex and Turnbull. The idea here, introduced into the film earlier, is that when you’re about to die you imagine yourself finishing up your life’s business. WHAT!!!! Hex is actively engaged in a fight with the same guy at the same time. It’s confusing in the worst way. The imaginary duel is given a red psychedelic haze, maybe half way thru making the movie they started working on EA’s Red Dead Redemption a cowboy Grand Theft Auto that just came out a week before this movie. That person should be beaten. Jonah Hex feels like a movie that nobody understood when they made it, that nobody cared about when they edited it, and that nobody even read the comic books that the movie was based on. If they had at least watched That one awesome episode of Batman the Animated series, Where Hex fights Ras Al Goul during a flashback sequence, that would have helped some. It’s the kind of movie that if you never saw a western before you might like it or if you had never seen an action movie in your life. Jonah Hex should hav had more care put into it, not because its such an unknown character, but because we were promised better than Catwoman. Its currently playing the Entertainment Cinema in Leominster MA. 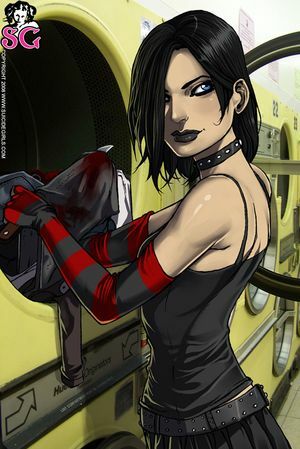 Tim Seeley creator of Hack/Slash, will be on the show tonight. We finally met Tim at The Granite Con a month ago. He was more than happy to come on the show again. On Friday Jonah Hex comes to theaters. It’s the Story of a confederate soldier horribly scared for life and fight bad guys in the old west, some times with a sci-fi twist sometimes with a supernatural twist. The Scars on his face are what defines him as a character, whether that be an anti-hero ( someone who does not play by hero rules ala The Punisher or Dark Man) or a true hero who shows bravery and courage. Sometime though these Scars can twist a man’s soul and turn him evil and make him a bigger villain than the one who inflicted it on him, In the case of Mason Verger from Hannibal he because sick and twisted to the point he’s worse than Hannibal him self. At least with the Cannibal you get charm and a gentleman like demeanor. We also have case where these people are born with these disfigurements. Their deformity has made them so ugly they go beyond human understanding to cover themselves up and shun the world, so they never have to deal with how they are treated. In this article we will go over ten best examples of disfigured characters in cinema, whether they be hero, villain, or just a poor soul. 10.The Texas Chainsaw Massacre (2003)–I use the remake more so as an example than the original because it went into more detail about Leatherface being born disfigured and scared. In order for him to feel accepted by his hillbilly family he wears other peoples faces who are better looking than him so he can fit in. This of course is a lot of psychological turmoil in his brain that leads him being one of cinemas most ruthless and demented madmen. 9.Hannibal–In the final chapter of Anthony Hopkin’s Hannibal Lecter saga, a demented billionaire Mason Verger ( Gary Oldman), is one of the only two living survivors of an attack by Lecter, hires some bounty hunters and the FBI to bring Lecter back to him so he can feed him to his Wild boars. Now like with Leatherface Mason is messed up to no end. His scars run deep as he raped and sexually abused his sister and was in turn done the same by his father. Hannibal was his doctor growing up and he learned of what he did and cut him deeply in gruesome ways. Weird fact about the film Gary Oldman did not want screen credit for the film as no one can even recognize him with all that make up on. 8.Darkman—After two villans here is our first anti-hero. created by Sam Rami Darkman (Liam Neesen) is a scientist trying to create a synthetic skin that works so well that people with deformities can no longer feel shunned by the outside world. Some mobsters show up blow him up and now he needs it to become any one he wants in order to fight crime. The cool thing about Darkman is he’s not afraid to kill to get what he wants and pose as those he is trying to get back at. He also has a kind of super power as he feels no pain in any part of his body and has some what low level healing powers, they just don’t work on his face. 7.The Dark Night— In this film, Two-Face is a much darker character, albeit portrayed sympathetically along the lines of a tragic hero rather than an evil villain., like his comic book counter part. Harvey Dent is the new District Attorney planning to take down the Mafia. He gets kidnapped by the Joker after the Mob turns to him to stop Dent, Gordan, and Batman. He gets almost blown up and is left with half his body ruined. Unlike in the comic he only wants revenge on those cops he feels are part of the mob. His silly antics with 2 of everything are non existant. His name Two Face was actually given to him before his accident. Is was the name the cops gave him since he used to work in Internal Affairs. 6.The Elephant Man–Frederick Treves (Anthony Hopkins), a surgeon, discovers John Merrick (John Hurt) in a freak show in London’s East End, where he is managed by a tyrant of a circus keeper. Merrick is so deformed that he must wear a hood and cape when in public. Treves tries to show the world what a beautiful creature this man can be. Its a touching story that really tries to show us the good that’s on the inside of someone who is very deformed. It’s also a movie with a deeper meaning we should all live by don’t judge a book by its cover. 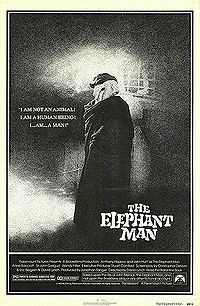 This movie is based on a true story.Long time rumor joke is Michael Jackson owned the Elephant Man’s Bones, not true. 5.Bond Films—-Ernst Stavro Blofeld (Donald Pleasence) Arguably the best Bond villain mainly for the performance of the actor portraying him in You Only Live Twice. In Live Twice you learn he is the founder of SPECTRE the terrorist organization that has been the nemesis of the Connery bond films. It’s this film he has the signature scar and protruding eye socket. There is no explanation why he has this facial feature and this is the only Bond film that shows him with it. It has been parody in many other films like the Austin Power movies. Ernst Stavro Blofeld also appeared even if it was just a hand or voice over a phone in these Bond films On Her Majesty’s Secret Service, Diamonds are Forever , Thunderball and its remake Never Say Never Again. 4.Star Wars Saga—-Darth Vader, if not for being a whiney little brat in Episodes I, II and half of III would be the greatest villain in Cinema history. His Scars and disfigurement run ALL OVER his body. It makes him who he is and gives him his anger which allows him to control the Dark Side of The Force. In a real bad move on his part he betrays the Jedi and then fights his older wiser and stronger Master. Even after Obi-Wan tells Anakin he has the higher ground, Anakin doesn’t listen and lunges at him. Obi Wan cuts off all his limbs and leaves him for dead, burning to death on the side of a volcano. This would fully transform him into The Dark Lord of The Sith. 3.The House of Wax(1953)The famous horror film staring the late gret Vincent Price was a work of true cinema artwork. It’s dark gothic settings and creepy villain make the movie work. Price plays a curator of a House of Wax, he was horribly scarred in a Wax accident and wears a mask thru most of the film. When his face is revealed its almost nothing more than a mess only Skeletor could say is handsome. House of Wax was released in 3-D back in 1953 soon to be released in Digital 3-D next year. 2. The Hunchback of Notre Dame—Quasimodo(Lon Chaney) is a deformed (deaf and half-blind) bell-ringer of the famous Cathedral of Notre Dame in Paris. He was born with this deformity and in subsequent films later on thru today the term for deformity is nicknamed Qunasimodo. His deformity comes from his ugly face and Hunched back. The hunchback’s story is a classic Beauty and Beast story as well. He falls in love with the dancer Esmeralda, who then he has to save from an angry mob after being falsely accused of murder. Despite his unfortunate features and knowing the girl would never love him the way he wants he still acts as a hero in the movie. It’s the rare case where the monster is not the villain. Please skip the Disney version its enough to make you wish you were half blind. 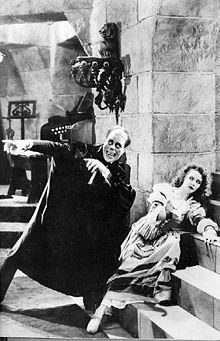 1.The Phantom of The Opera(1925)–This was the greatest performance by Lon Chaney this and the film mentioned before it would go down to truly show he was one of the greatest actors of the 20th century. This movie would help make him the man of a thousand faces, after several other films were he wore more makeup than showing his true face. The Phantom in this story is a poor victim of a terrible accident that twisted his mind. He threatens the Grand Opera in Paris if they don’t stop playing a certain score. His features are hidden behind a mask covering most of his face. He would stop at nothing to make sure the Opera does what he wants. His lair is also one of those repeated villain hideouts below the Opera itself.